Gum-related issues are usually unobservable in early stages, as they have no expressed symptoms. Insufficient oral hygiene and incorrect mouth care technique are the most common causes of gum diseases. If gum diseases are unnoticed and untreated, they may progress to periodontitis – severe gum disease which causes reduction of the bone surrounding the teeth – teeth loosen and You may lose them. The noticeable symptoms that may indicate you have a gum disease: red, sore gums that bleed when you touch them with your toothbrush or dental floss, foul breath, pain in the gums. 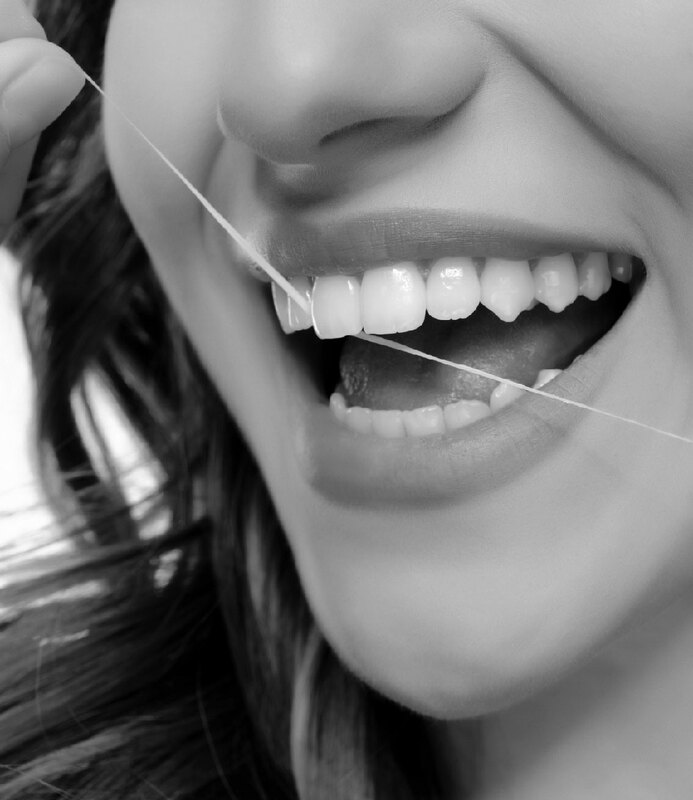 You should also consult a specialist when you notice bleeding when using dental floss or during tooth brushing, although you have no other complaints and no pain. Gingivitis is the inflammation of gums caused by soft plaque or dental tartar soft plaque. The main symptoms of the disease are red, swollen, bleeding gums not only when you brush your teeth or use dental floss, but also during meals, when chewing. If gingivitis is not treated, it may progress to periodontitis. If periodontitis is neglected, and teeth supporting tissues are severely damaged, surgical treatment is required. A periodontologist cleans infected tissues under the gums. This treatment increases prospects for curing teeth. How to notice gum disease on time? Gum examination is a simple procedure that causes no pain. A periodontologist measures the depth of gingival sulcus using a special instrument. If it is healthy, it is 1-3 mm deep, and it is made of healthy gingival tissues. If the gingival sulcus is deeper than 3 mm, it gets deeper as a result of gum inflammation, and it contains a lot of bacteria – it is called a periodontal pocket, and a sever gum disease – periodontitis is diagnosed. As a result of periodontitis the amount of bone surrounding the teeth reduces, teeth loosen or move and the patient may lose them. Therefore it is extremely important to pay attention to any gum-related issues and treat them on time. It is also important to make X-rays during examination, as the reduction and changes of teeth surrounding bone cannot be determined using instruments only. Everyone needs regular professional check-up of the oral cavity, including gum examination, twice a year. Consult a dentist-periodontologist and ask to perform a full examination of the oral cavity which includes measuring the depth of gingival sulcus near each tooth, X-rays examination, as this is the only way to determine the onset of the disease. Timely treatment is more sparing, cheaper and ensures better result. The sooner periodontitis is found, the higher are the chances to keep all teeth during your lifetime. Book an appointment in Dental Clinic SIROWA and find out about the possibilities offered by modern dentistry!